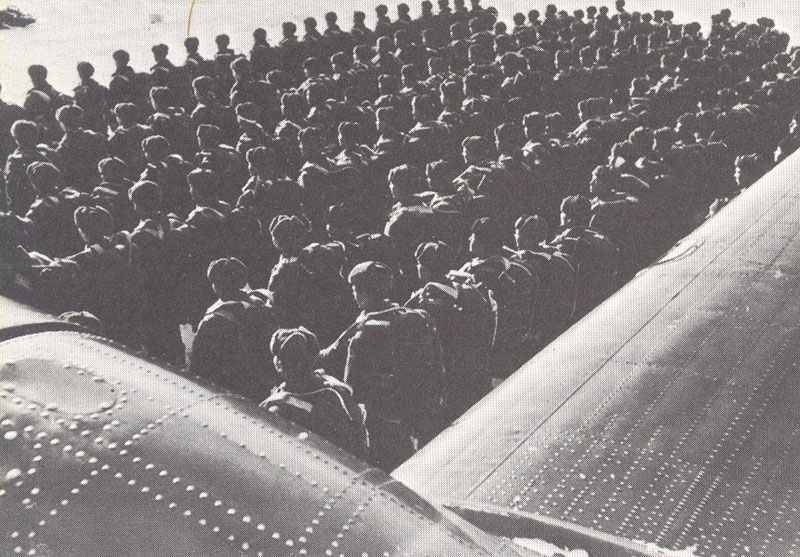 Soldiers of the Russian IX air landing corps before the operation. Eastern Front: Russian parachute brigade and airborne regiment land behind German lines south of Vyazma (January 18-24). On Central Front, advancing Russians within 97 km of Smolensk. Heavy fighting in suburbs of Orel, south of Kaluga. Timoshenko commences general offensive on Ukrainian front, advancing to within 97 km of river Dnieper and Dnieprostroy, vital German supply base. Major-General Gretchko (postwar Marshal and Minister of Defence) particularly distinguishes himself.